Drafting House Plans introduces the absolute beginner to the process of thinking and working in scale, sketching first concepts, using architectural symbols, creating and drawing preliminary plans and preparing each sheet of a complete set of house plan drawings. Draw a complete set of plans for a one-story house, or an additional to an existing house even if you've never had drafting or design experience. 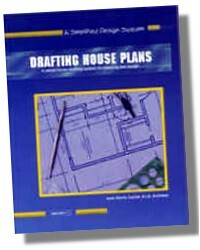 This complete guide to drawing home plans walks you through the process of developed a complete set of plans: visualizing spatial relationships, using standard architectural scales and symbols, sketching preliminary drawings, developing a detailed floor plan and exterior elevations, and preparing a final plot plan. 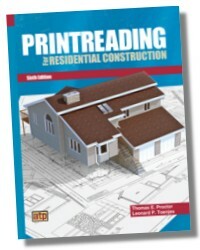 The author, June Curran, A.I.A., is an architect, practicing in California, and the author of several other books, including Profile Your Lifestyle and Drawing Home Plans. 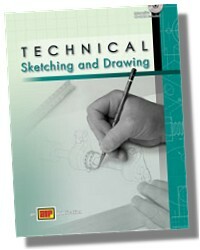 188 Pages - 8-1/2x 11 in. 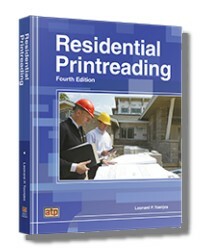 Residential WirePro - Create Electrical Wiring Floorplans & more!